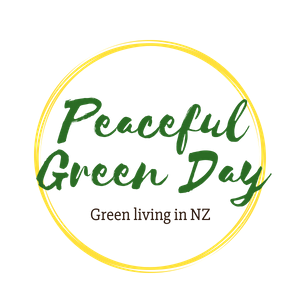 Recently my family and I had the pleasure of visiting the most gorgeous lifestyle block owned by a clever and resourceful couple. 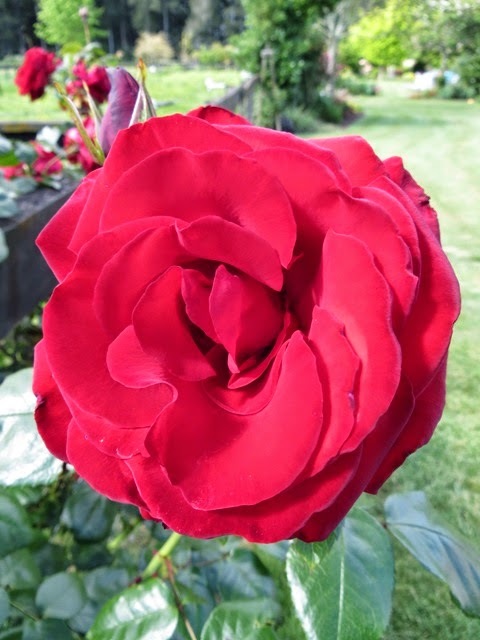 It made us long for more land - for more flowers, more vegetables, more space for chickens, and most of all more space for our children to play in. Our urban section is quite small. However, the drive in and out of town wouldn't work for us. Too much petrol, too much time. We like being able to walk and bike daily to many of our destinations. Plus I don't think we have the energy or time for maintaining a large block. 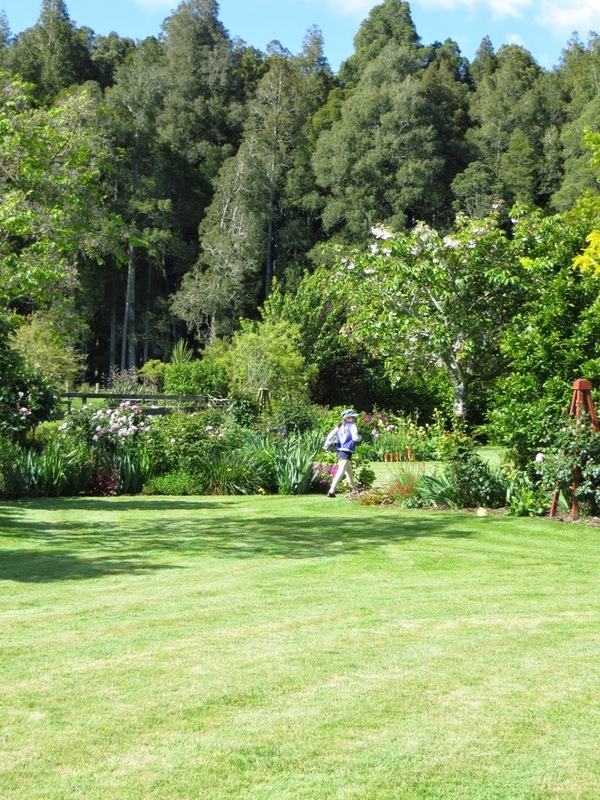 The current owners are doing forest restoration and pest control in an adjacent patch of beautiful kahikatea forest. It was a magical place. 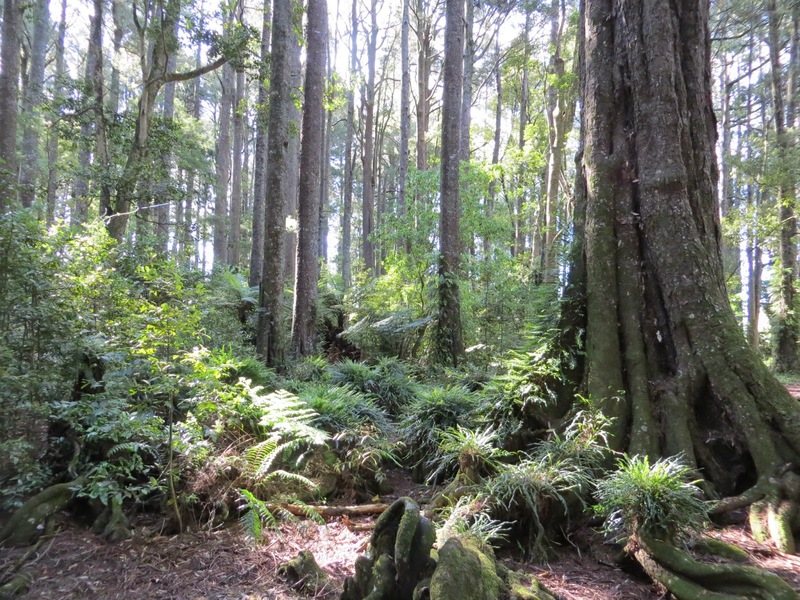 Kahikatea trees thrive in swampy ground. 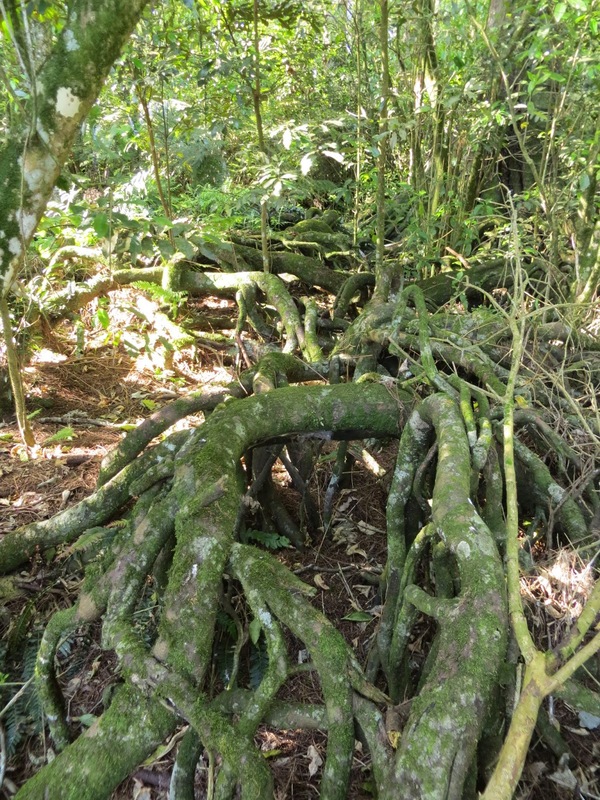 The land around here has been drained for farms now, but the trees' crazy above-ground roots remain. The forest felt a bit elvish and secret, like a magical, mossy, fern-filled world in which the trees should have windows. 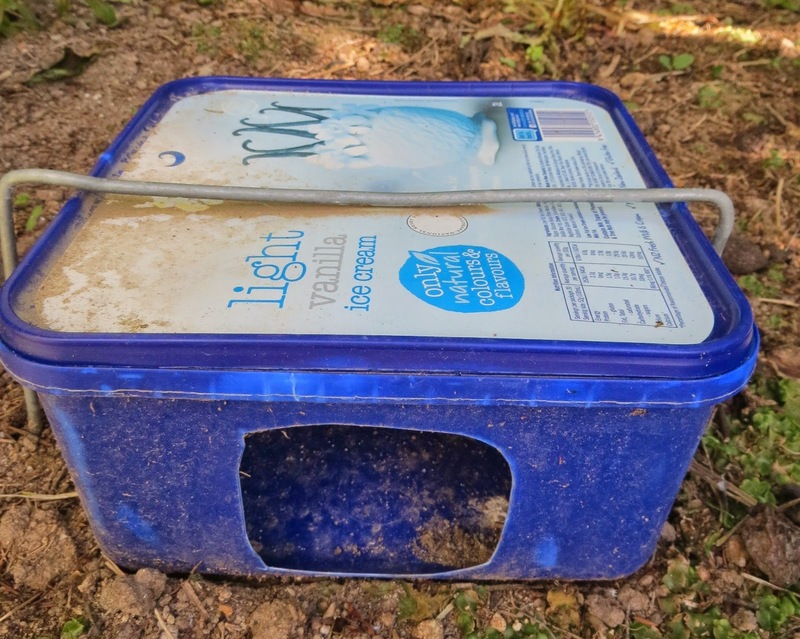 I noticed that the couple were using the cleverest and cheapest little bait station for rats that I've ever seen, using old icecream containers. They told me they'd invented them and that they work really, really well. You can read about how they work and how to make one on my other blog, www.keepingchickensnz.com. 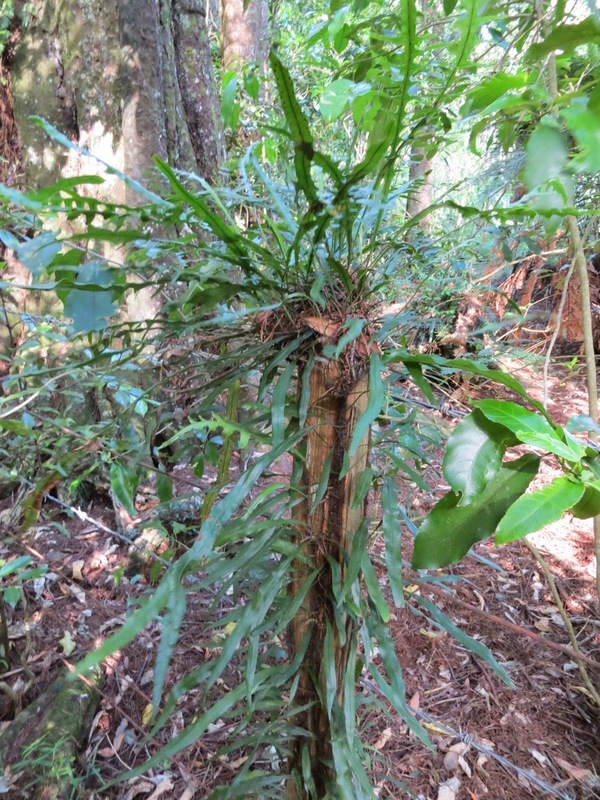 I also noticed these ferns that have made a home of a fencepost - amazing! Our friends gave us a bag of freshly dug new potatoes for our dinner. Yum... what a nice ending to a lovely afternoon.